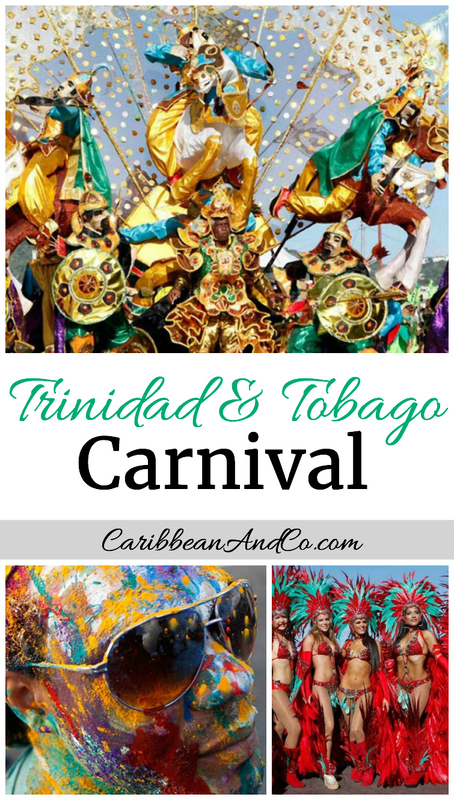 Trinidad & Tobago Carnival - Caribbean & Co. The Trinidad & Tobago Carnival is an annual event that features some of the most colorful costumes, music, and dancing that the Caribbean has ever seen. The event is held on the Monday and Tuesday before Ash Wednesday, which means that festival date changes every year. No matter when the event takes place though, there are few events that capture the spirit, energy, and vitality of life in the Caribbean than the Trinidad & Tobago Carnival. While the event itself is the most important event in the tourism and cultural calendar in Trinidad & Tobago, there are many events taking place that build up to the event. This provides a focus for many residents and tourists, ensuring that the party atmosphere and vibe last for a few weeks. There is a belief in Trinidad & Tobago that life is spent preparing for the carnival, celebrating the carnival and then reminiscing about the carnival. Tourists may not get the chance to experience the Trinidad & Tobago Carnival year on year but the memories linger on for many years. The Carnival gets underway in the early hours of Monday morning with predawn party of J’Ouvert. This is a stunning opportunity to express yourself and lose your inhibitions at the start of a two-day period that will live with you for a very long time. As the daytime rolls around, thousands take to the streets in celebration of the carnival with song and dance being the order of the day. Monday is an enteric and vibrant day in the carnival but it is merely the warm-up when compared to Tuesday. The Tuesday excitement begins at 8 in the morning with revelers in full costume dancing and socializing to the variety of bands on show. Each band has a theme connecting them to the audience and to the local culture. When it comes to finding one of the biggest and most fun party destinations in the world, it is hard to argue with the Trinidad & Tobago Carnival. No matter how many imitators there have been around the world, experiencing the original and best carnival remains a thrilling sight to behold.